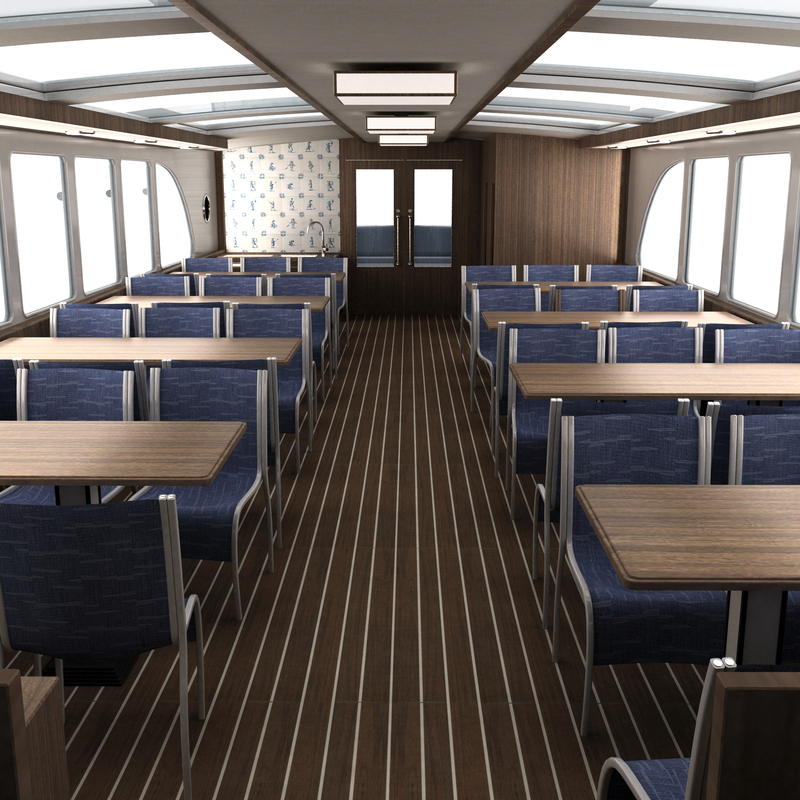 The interior of this Touristboat has a typical Dutch feeling. The colour and trim is determined in collaboration with Vyva Fabrics. The walnut wood finishing with white accents and polished stainless steel deliver an exciting contrast. A square theme is intetrated in the details such as lights, watertaps and tiles. The Delft blue tiles are hand painted with impressions of the client’s environment.